Acer on its way to bring its all new Android smartphone, named Acer Liquid Metal. The new Acer Liquid Metal Smartphone comes enclosed in a stylish metallic body enclosure and runs on Google Android 2.2 Froyo OS. New Acer Liquid Metal Smartphone comes equipped with a 3.6-inch multitouch TFT display with resolution of 480 x 800 pixels and is powered with a a 800MHz Qualcomm MSM 7230 processor along with 512MB RAM and 512MB ROM module. All new Acer Liquid Metal Smartphone Features Dolby Mobile technology, 5 megapixel autofocus camera with LED flash and 720p HD video recording, Bluetooth 2.1, Wi-Fi 802.11b/g/n, GPS with A-GPS support, 3.5mm headphone jack, FM radio, microUSB port and a microSD card slot. Acer Liquid Metal Smartphone designed to support GSM/GPRS/EDGE and UMTS/HSDPA network.The 1,500mAh Li-ion battery of the smartphone provides about 8 hours of talk time life and almost 550 hours of standby lifetime.Acer Liquid Metal weighs 130 grams and its dimensions are 115 x 63 x 13.5 mm. 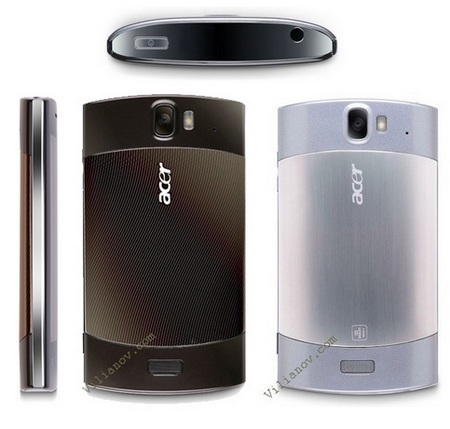 Acer Liquid Metal smartphone will be soon available in France from November 2010 onwards for a price tag of €349. Tags:-Acer Liquid Metal Smartphone price, Acer Liquid Metal Smartphone features, Acer Liquid Metal Smartphone specifications, Acer Liquid Metal Smartphone details, Acer Liquid Metal Smartphone availability, Acer Liquid Metal Smartphone launch, Acer Liquid Metal Smartphone price tag, Acer Liquid Metal Smartphone images, Acer Liquid Metal Smartphone pics. Samsung recently made the the pre-order availability for their all new Samsung Galaxy Tab in India.The new Samsung Galaxy Tab Tablet will be shipped by November 10th, 2010 for a price tag of Rs. 38,000. The new Samsung Galaxy Tab comes equipped with a 7-inch WSVGA touchscreen display and is powered with a 1GHz processor.Samsung Galaxy Tab runs on Google Android 2.2 OS (Froyo) and Features 3MP rear camera, 1.3MP front camera, 3G, Wi-Fi, Bluetooth, a slot for microSD card along with supports for Adobe Flash 10.1. More details about the Samsung Galaxy Tab Tablet are available under Related posts shown below. 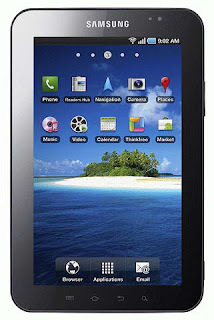 Tags:-Samsung Galaxy Tab india launch, Samsung Galaxy Tab india price, Samsung Galaxy Tab india release date, Samsung Galaxy Tab price in india, Samsung Galaxy Tab india release, Samsung Galaxy Tab specs, Samsung Galaxy Tab features, Samsung Galaxy Tab india price details, Samsung Galaxy Tab details, Samsung Galaxy Tab review. HP just recently started the sale of their all new 3D laptop, named HP ENVY 17 3D laptop.The new HP ENVY 17 3D laptop comes enclosed in a stylish aluminum chassis and is bundled with HP 3D Active Shutter Glasses.HP ENVY 17 3D laptop is now available for a price tag of $1,599.99. 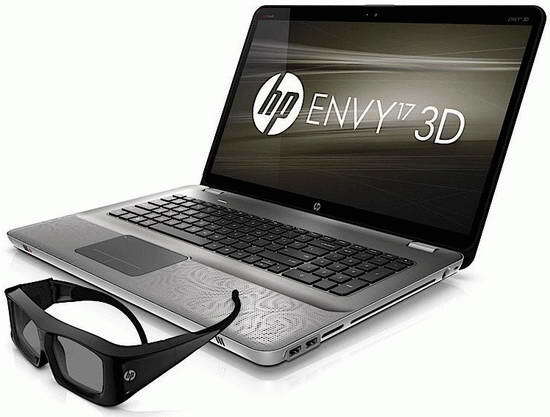 New HP ENVY 17 3D notebook comes equipped in a 17.3-inch 3D (120 Hz) LED-backlit display with resolution of 1920 x 1080 pixel and is powered with an Intel Core i7 quad-core mobile processor.The 3D laptop houses a Mobility Radeon HD 5850 graphics card with 1GB dedicated memory. All new HP ENVY 17 3D notebook can support up to 8GB of DDR3 and up to 2TB HDD.The HP ENVY 17 3D notebook Features Blu-ray combo drive, a HD webcam, Wi-Fi 802.11n and 5-in-1 card reader. HP ENVY 17 3D notebook comes pre-installed with Windows 7 Home Premium, Professional or Ultimate edition.The HP notebook houses 6-cell Lithium Ion battery.HP ENVY 17 3D notebook weighs 14.31 pounds and its dimensions are 16.38 x 10.83 x 1.25/1.52 inches. Tags:-HP ENVY 17 3D laptop, HP ENVY 17 3D laptop features, HP ENVY 17 3D laptop details, HP ENVY 17 3D laptop price tag, HP ENVY 17 3D laptop price details, HP ENVY 17 3D laptop specifications, HP ENVY 17 3D laptop details. 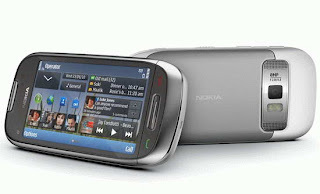 The Nokia recently made the availability of its all new Symbian^3 Smartphone, named Nokia C7 in Indian market.The new Nokia C7 Smartphone is now available for a price tag of 19,490 INR (around $440) via Nokia Professional Centers(NPCs) across India. Nokia C7 smartphone comes equipped with a 3.5-inch AMOLED ClearBack display with resolution of 360 x 640 pixels and Features 8 megapixel camera with Dual LED Flash and 720p video recording, 1GB ROM, 8GB of internal memory, Wi-Fi 802.11 b/g/n, a microSD card slot for memory expansion and Ovi Maps (free navigation included). The new Nokia C7 smartphone comes enclosed within a stylish stainless steel body and is the second Symbian^3 smartphone after Nokia N8. Tags:-Nokia C7 smartphone, Nokia C7 smartphone features, Nokia C7 smartphone specifications, Nokia C7 smartphone details, Nokia C7 smartphone specs, Nokia C7 smartphone price tag, Nokia C7 smartphone price details, Symbian^3 Smartphone, Nokia C7 Symbian^3 Smartphone india price tag, Nokia C7 Symbian^3 Smartphone india launch+release+ availability. Most of you guys often came up with this question.Is my Anti-virus working?. Is it good enough?.So here i am providing simple steps to test your Anti-virus to check weather it is capable of providing good results.The test process includes creating an EICAR Anti-Virus Test File.The test file will not cause any harm to your system and allows you to test with your anti-virus tool is awake. NB: IF you are still afraid to do so then you could create a restoration point before doing so, so that you could restore if you want after the test and more over i am not pushing you to do the test i just want to know that its possible to test your Anti-virus capability. 3. Save the file with EICAR.COM and better place it on your destop itself. 4. Run the file either by double-click it or using the DOS prompt. A. IF your Anti-Virus is good enough then it will surely warn you about the virus detection whenattempting to run the file. B. Next zip the file and try to open it by double-clicking your Anti-Virus will warn you if it capable to recognize viruses inside ZIP files.This shows your Anti-Virus is better. C. Lastly you could mail the file to yourself as attachment to make sure that your Anti-Virus software has command of email cleanliness. For more tricks and tips check -> Tips and Tricks.Post your valid comments. Thank you. Tags:-Anti-virus testing, steps for Anti-virus checking, Anti-virus capability test, steps to make sure that your Anti-virus is good. Dell now on its way to introduced its latest Windows Phone 7 smartphone, named Dell Venue Pro soon in UK market.The new Dell Venue Pro Smartphone is now available for pre-order at Expansys for a price tag of £499.99 (about $785) and is expected to ships by 9th November 2010. The all new Dell Venue Pro Windows Phone 7 Smartphone comes equipped with a 4.1-inch capacitive touchscreen AMOLED display with resolution of 800 x 480 pixels and is powered with a 1GHz Qualcomm 8250 SnapDragon CPU along with a 512MB RAM and an internal memory of 1GB. New Dell Venue Pro smartphone Features 5MP autofocus camera with LED flash, 802.11 b/g Wi-Fi, Bluetooth 2.1, AGPS, Digital Compass, Accelerometer, Proximity Sensor, Light Sensor, 3.5mm audio jack and MicroSD card slot.Dell smartphone supports HSDPA (7.2Mbps), HSUPA (5.76 Mbps), and also quad-band 2G 850/900/1800/1900 Mhz, dual-band 3G 900/2100 MHz. The new Dell smartphone houses a 1400 mAh Battery capable fo providing 5 hours of talk time and about 336 hours of life in standby mode.Dell Venue Pro handset weighs 180g and its dimensions are 121x62.9x15 mm. 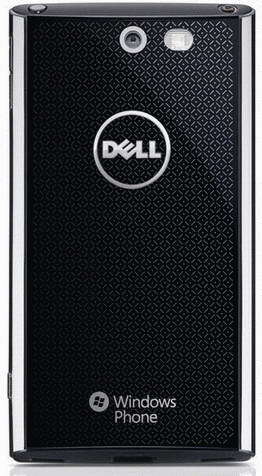 Tags:-Dell Venue Pro Smartphone price, Dell Venue Pro Smartphone features, Dell Venue Pro Smartphone specifications, Dell Venue Pro Smartphone details, Dell Venue Pro Windows Phone 7 Smartphone, Dell Venue Pro Windows Phone 7 Smartphone details, Dell Venue Pro Windows Phone 7 Smartphone launch, Dell Venue Pro Windows Phone 7 Smartphone pre-order price, Dell Windows Phone 7 Smartphone. 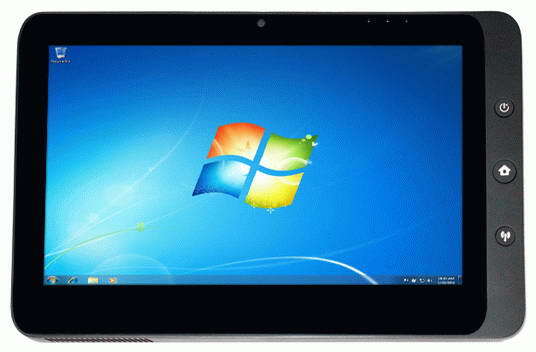 Pioneer Computers recently started the sale of their new tablet, DreamBook ePad A10 Pro.DreamBook ePad A10 Pro tablet comes available in either Windows 7 or Android OS. Pioneer Computers DreamBook ePad A10 Pro tablet comes with a price tag that starts with $599. New DreamBook ePad A10 Pro tablet comes equipped with 10-inch touchscreen LED-backlit display with 1024×600 pixel resolution along with multitouch technology and is powered with a 1.66GHz Intel Atom N455 or a 1.83GHz Intel Atom N475 processor.The ePad A10 Pro tablet houses an Intel GMA 3150 integrated graphics card with 1GB/2GB DDR3 RAM and 8GB/16GB/32GB SSD. All new DreamBook ePad A10 Pro tablet Features a 0.3 megapixel webcam, Wi-Fi 802.11b/g/n, Mini VGA port, microSD memory card slot, two speakers and the optional availabilities includes Bluetooth 2.1, GSM/UMTS, CDMA EV-DO and TD-SCDMA module. 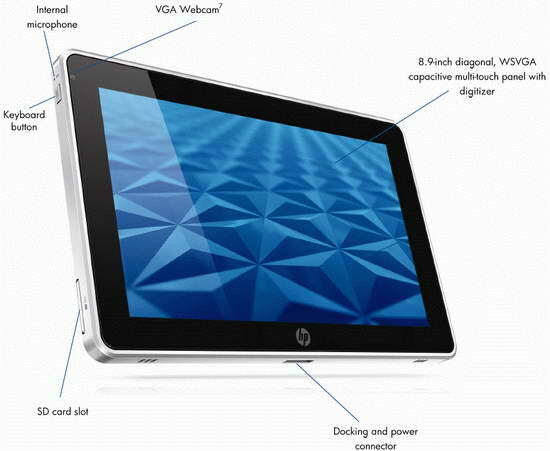 DreamBook ePad tablet includes a 200 mAh Li-Polymer battery.The tablet weighs 750g and its dimensions are 243 x 190 x 13.9 mm. Tags:-Pioneer Computers DreamBook ePad A10 Pro tablet price details, Pioneer Computers DreamBook ePad A10 Pro tablet features, Pioneer Computers DreamBook ePad A10 Pro tablet specifications, Pioneer Computers Windows 7 tablet, DreamBook Windows 7 tablet, ePad A10 Pro Windows 7 tablet. T-Mobile USA recently started the sale of new Windows Phone 7 handset, named HTC HD7 smartphone via Amazon .The new HTC HD7 smartphone is now available at Amazon.com for pre-order with a price tag of $169.99 for 2-year contract agreement. 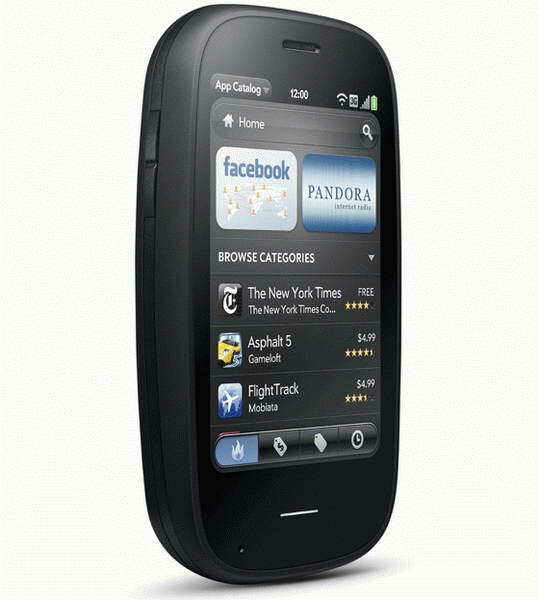 The new HTC HD7 smartphone comes equipped with a 4.3-inch touchscreen display with resolution of 480 x 800 pixels and features 5-megapixel autofocus camera with dual LED flash and 720p HD video recording, Wi-Fi 802.11b/g/n, Bluetooth 2.1, GPS navigation, full QWERTY virtual keyboard, 16 GB internal memory, light and proximity sensors, MicroUSB port and a 3.5mm headphone jack. 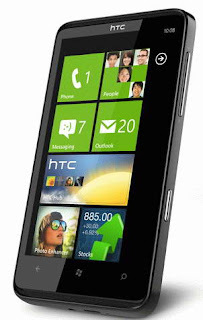 New HTC HD7 smartphone runs on Windows Phone 7 OS.The handset is designed to support GSM/GPRS/EDGE 850/900/1800/1900 MHz and T-Mobile’s 3G network (1700/2100 MHz).T-Mobile HTC HD7 smartphonehouses a 1230 mAh lithium-ion battery that provides about 6.3 hours of talk time life and almost 310 hours of standby time.HTC HD7 smartphone weighs 5.71 ounces and its dimensions are 4.8 x 2.67 x 0.44 inches. Tags:-T-Mobile HTC HD7 smartphone, T-Mobile HTC HD7 smartphone price, T-Mobile HTC HD7 smartphone launch, T-Mobile HTC HD7 smartphone pre-order, T-Mobile HTC HD7 smartphone amazone pre-order, T-Mobile HTC HD7 smartphone price taf, T-Mobile HTC HD7 smartphone review, Windows Phone 7 HTC HD7 handset details. The Canadian company, Research In Motion (RIM) recently made the official announcement about the introduction of its all new smartphone, named BlackBerry Bold 9780.The new BlackBerry Bold 9780 smartphone comes as a replacement for the previous BlackBerry Bold 9700.The main feature of BlackBerry Bold 9780 smartphone is the availability of the new BlackBerry v6 OS. 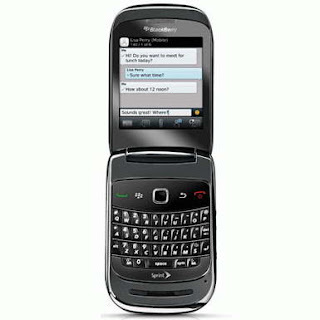 According to the official Specifications the new BlackBerry Bold 9780 smartphone comes equipped with a 2.44-inch TFT display with a resolution of 360 x 480 pixels and is powered with a 624-MHz processor.The smartphone supports GSM/GPRS/EDGE and UMTS/HSDPA networks. New BlackBerry Bold 9780 smartphone Features 5 megapixel autofocus camera with flash and a 2x digital zoom, Video recording, Geotagging, GPS, 3G, Wi-Fi 802.11b/g, Bluetooth 2.1, QWERTY keyboard with an optical trackpad, 512MB inbuilt memory, microSD / microSDHC memory card slot bundled with 2GB card(up to 32GB) and 3.5mm audio connector. 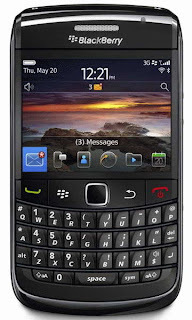 The all new BlackBerry Bold 9780 smartphone battery provides about 6 hours of talk time, about 36 hours of music playback life and almost two weeks of life in standby mode (3G).The smartphone weighs 122g and its dimensions are 109 x 60 x 14 mm. 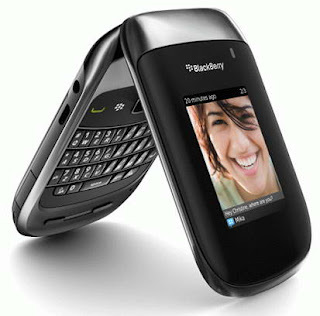 According to the official announcement the new BlackBerry Bold 9780 smartphone will be available world wide from the beginning of November 2010 though various mobile operators.The price details will depend on the contract details. 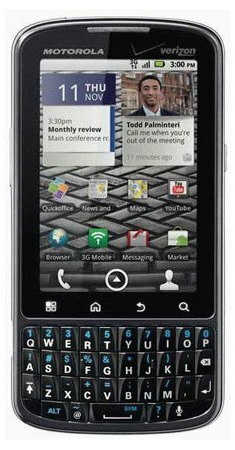 In US market new BlackBerry Bold 9780 smartphone will be available by November 17 via T-Mobile for a price tag of $129.99 with a 2 year contract and $50 rebate. Tags:-BlackBerry v6 OS, BlackBerry v6 OS handset launch, BlackBerry Bold 9780 smartphone US price, BlackBerry Bold 9780 smartphone US launch date, BlackBerry Bold 9780 smartphone features, BlackBerry Bold 9780 smartphone official details, BlackBerry Bold 9780 smartphone recent specs, BlackBerry Bold 9780 smartphone recent details, BlackBerry Bold 9780 smartphone launch date, BlackBerry Bold 9780 smartphone price tag, BlackBerry Bold 9780 smartphone official announcement, BlackBerry Bold 9780 smartphone release date. Motorola recently made the availability of its all new Motorola Droid Pro worldphone via US cellular operator Verizon.Motorola Droid Pro handset now listed at the Verizon test website for a price tag of $299 with contract and a $700 price without contract. 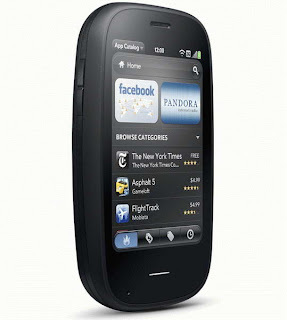 Motorola Droid Pro worldphone comes equipped with a 3.1-inch multitouch display with resolution of 320 x 480 pixels (HVGA) and is designed to support CDMA EV-DO Rev. A, UMTS/HSDPA/HSUPA and GSM/GPRS/EDGE network.The handset houses a 512MB RAM module. New Motorola Droid Pro worldphone features 5MP autofocus camera with dual LED flash, 2GB internal memmory, Wi-Fi with DLNA, Bluetooth 2.1 EDR, GPS, microUSB port, 3.5mm headphone jack and a microSD card slot.Another features is the capability of supporting 5 WiFi-enabled devices to use as a mobile hotspot device. Tags:-Motorola Droid Pro worldphone price, Motorola Droid Pro worldphone features, Motorola Droid Pro worldphone specs, Motorola Droid Pro worldphone details, Motorola Droid Pro worldphone launch, Motorola Droid Pro worldphone details, Motorola Droid Pro worldphone price details, Motorola Droid Pro worldphone price tag, Verizon Motorola Droid Pro worldphone. Spice Mobiles recently introduced a new 3D dual-SIM handset in India, named Spice M-67 3D.The all new Spice M-67 3D dual-SIM phone is available for a price tag of Rs. 4,299 ($100). According to manufacturer Spice M-67 handset doesn't need special stereoscopic glasses for viewing 3D contents.The main feature of Spice M-67 3D handset is that the handset contains a dedicated key that helps to change views from 2D and 3D modes. The all new Spice M-67 3D phone comes equipped with a 2.36-inch display with resolution of 320 x 240 pixels and Features 2-megapixel camera, Bluetooth 2.1, stereo speakers, music player, dual SIM card slots, FM radio, internal memory just 500KB !! and a MicroSD card slot that could support up to 16 GB Card. 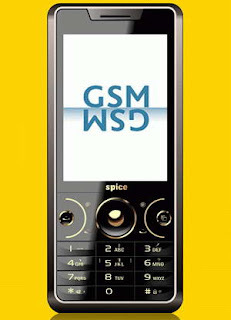 New Spice M-67 3D phone is designed to support GSM 900/1800 MHz and housed with a 4.5 hours life provider battery.The Spice 3D handset weighs 76 g and its dimensions are 50.7 x 115 x 12.6 mm. 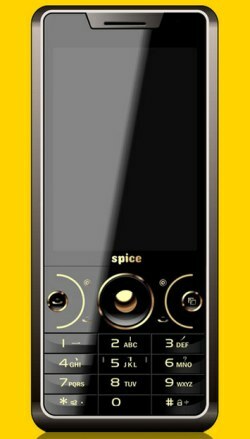 Tags:-Spice M-67 3D dual-SIM phone, Spice M-67 3D dual-SIM phone Features, Spice M-67 3D dual-SIM phone price, Spice M-67 3D dual-SIM phone india price, Spice M-67 3D dual-SIM phone india launch, Spice M-67 3D dual-SIM phone price tag, Spice M-67 3D dual-SIM phone specifications, Spice 3D dual-SIM phone, Spice 3D handset, Spice 3D handset india price. ViewSonic recently introduced a new LCD monitor with Multitouch capabilities, named ViewSonic VX2258wm.The new ViewSonic VX2258wm LCD monitor is the first touchscreen monitor introduced by ViewSonic.ViewSonic VX2258wm Multitouch Monitor will be available in European market for a price tag of €230. The all new ViewSonic VX2258wm Multitouch LCD Monitor has a Full HD 1920 x 1080 pixel resolutin and is Windows 7 Touch certified that provides multitouch capabilities.The ViewSonic Multitouch LCD Monitor Features SRS Premium Sound with 2Wx2 speakers, 100,000:1 dynamic contrast ratio (1000:1 static), 200 cd/m2 brightness, 5ms response time, D-Sub and DVI connectors, 3.5mm headphone jack and a USB port. Tags:-Multitouch LCD Monitor, Multitouch LCD Monitor price, Multitouch LCD Monitor details, Multitouch LCD Monitor from ViewSonic, ViewSonic Multitouch LCD Monitor, ViewSonic Multitouch LCD Monitor price, ViewSonic Multitouch LCD Monitor release, ViewSonic Multitouch LCD Monitor features, ViewSonic Multitouch LCD Monitor specs, ViewSonic Multitouch LCD Monitor images. Verizon Wireless recently announced that the new Samsung Galaxy Tab will be available through its outlets from November 11 2010.The all new Samsung Galaxy Tab Tablet will be available for a price tag of $599.99 without contract in US market. 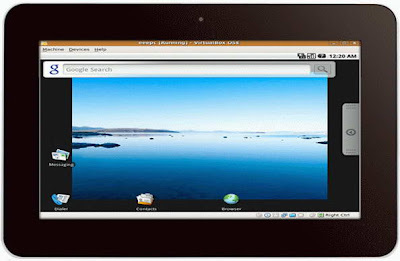 The new Samsung Galaxy Tab Tablet comes included with a lot of Verizon applications and that includes V CAST Music, V CAST Song ID, VZ Navigator, Kindle for Android, and Slacker Radio.The samsung tablet runs on Google Android 2.2 OS. About the Specifications New Samsung Galaxy Tab Tablet comes equipped with a 7-inch WSVGA touchscreen display with multi-touch support and is powered with 1GHz Hummingbird CPU.Galaxy Tab Features includes 3.2MP rear camera, 1.3MP camera on the front for video chat, 3G, Wi-Fi, Bluetooth and a microSD card slot.The tablet comes housed with a 4,000mAh battery as power supply. 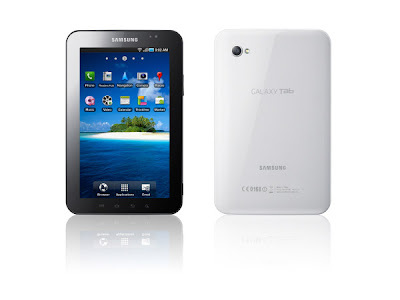 Tags:-Samsung Galaxy Tab, Samsung Galaxy Tab launch, Samsung Galaxy Tab US launch, Samsung Galaxy Tab US price, Verizon Samsung Galaxy Tab price, Verizon Samsung Galaxy Tab features, Verizon Samsung Galaxy Tab Specifications. 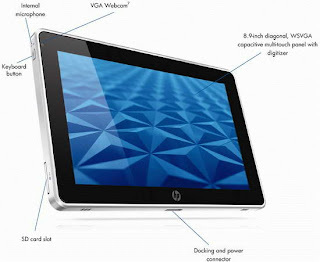 HP recently made the official announcement about the details of its upcoming Slate tablet, named HP Slate 500.The all new HP Slate 500 tablet runs on Windows 7 Professional 32-bit OS and comes bundled with a dock and a portfolio case with a price tag of $799. 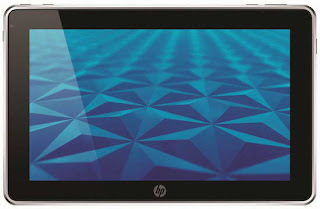 All new HP Slate 500 tablet comes equipped with a 8.9-inch capacitive touchscreen display with 1024 x 600 pixel resolution and is powered with a 1.86GHz Intel Atom Z540 processor.The HP Slate 500 tablet houses an Intel System Controller Hub (SCH) US15W chipset and Intel GMA 500 graphics with Broadcom Crystal HD video accelerator.The slate tablet brings a 2GB DDR2 RAM and 64GB SSD for storage. HP Slate 500 Windows7 Tablet Features 3MP camera, a VGA front facing camera, Wi-Fi 802.11/b/g/n, Bluetooth, two USB 2.0 port and HDMI port.The HP tablet includes a 2-cell 30WHr polymer battery as life provider.The tablet weighs 0.68kg and its dimensions are 15×22.6 x 1.47 cm. 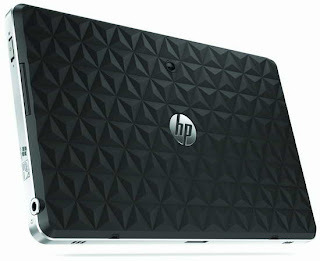 Tags:-HP Slate 500 Windows7 Tablet, HP Slate 500 Windows7 Tablet features, HP Slate 500 Windows7 Tablet price, HP Slate 500 Windows7 Tablet preview, HP Slate 500 Windows7 Tablet review, HP Slate 500 Windows7 Tablet price tag, HP Slate 500 Windows7 Tablet price details, HP Slate 500 Windows7 Tablet launch, HP Slate 500 Windows7 Tablet release, HP Slate 500 Windows7 Tablet price. 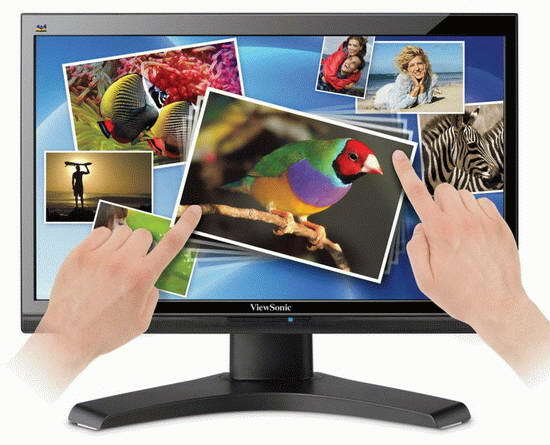 Lenovo recently started the sale of their alll new all-in-one desktop PC named, Lenovo ThinkCentre M70z.The new Lenovo ThinkCentre M70z comes pre-installed with Windows 7 Professional OS and is based on Intel platform.Lenovo ThinkCentre M70z desktop now available for a price tag of $1,340. 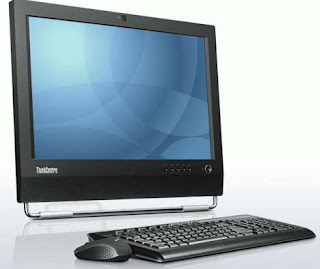 The all new Lenovo ThinkCentre M70z desktop included with a 19-inch screen of 1440 x 900 pixel resolution and touch capabilities comes as optional features.Processor option that comes along with new ThinkCentre M70z includes 3.06GHz Intel Core i5-650, a 3.06GHz Intel Core i3-540 or a 2.8GHz Intel Pentium G6950 processor.The new Lenovo desktop includes 8GB RAM and 250GB to 500GB HDD. 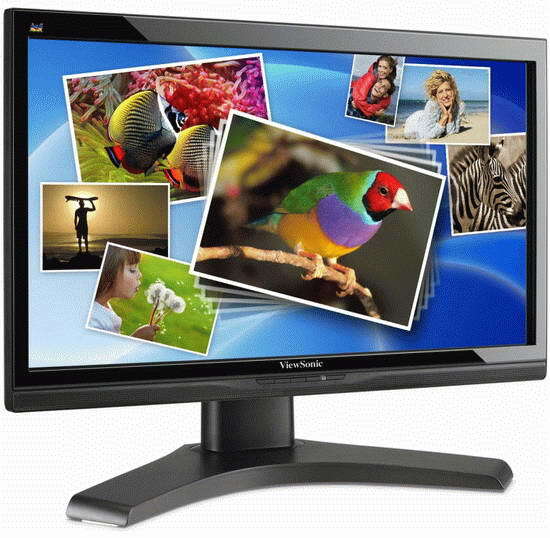 The Lenovo ThinkCentre M70z desktop Features includes 2 megapixel webcam, Gigabit Ethernet LAN, Wi-Fi 802.11b/g/n, card reader, DVD writer, 6 USB ports, and a DisplayPort.The desktop weighs about 9 kg and its dimensions are 470 x 111 x 396 mm. 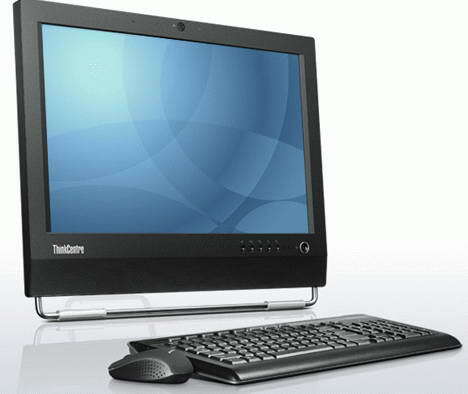 Tags:-Lenovo ThinkCentre M70z all-in-one desktop, Lenovo ThinkCentre M70z, all-in-one desktop, Lenovo ThinkCentre M70z desktop Features, Lenovo ThinkCentre M70z desktop price, Lenovo ThinkCentre M70z desktop specifications. Apple just recently made the availability of their new MacBook Air laptop.The new MacBook Air Laptop comes enclosed with an aluminum enclosure and has a screen size of 13.3-inch. The all new 13-inch Apple MacBook Air equips a 13.3-inch screen with 1440 x 900 pixels resolution and is powered with either a 1.86GHz or 2.13GHz Intel Core 2 Duo processor.The storage device is a 128GB/256GB (SSD) faster-solid state flash storage Drive and the RAm module option incudes 2GB/4GB of DDR3 RAM.The New MacBook Air Laptop houses a nVidia GeForce 320M graphics with 256MB of dedicated memory. Apple New 13-inch MacBook Air Laptop Features multitouch touchpad, webcam, Bluetooth 2.1 EDR, Wi-Fi 802.11n and Mini DisplayPort slot.The laptop battery provides about 7 hours of life.The 13-inch MacBook Air weighs 1.32 kg and its dimensions are 325 x 227 x 3-17 mm. The main difference from the previous 13-inch MacBook Air Laptop is the addition of two USB ports and memory card slots that supports (SD/SDHC/SDXC). 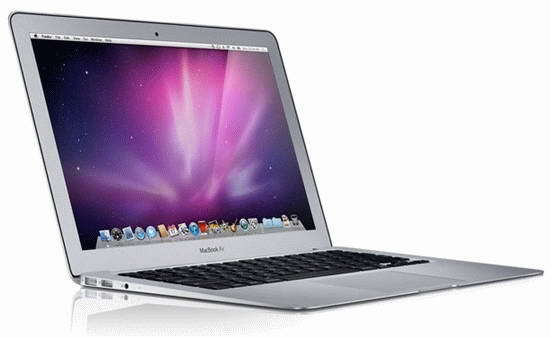 The new 13.3-inch MacBook Air with 1.86GHz processor, 2GB RAM and 128GB storage priced at $1,299. The 13-inch MacBook Air with 256GB SSD comes with a price tag of $1,599. Tags:-SSD MacBook Air Laptop, New 13-inch MacBook Air Laptop, New 13-inch MacBook Air Laptop price, New 13-inch MacBook Air Laptop details, New 13-inch MacBook Air Laptop specs, New 13-inch MacBook Air Laptop price tag, New 13-inch MacBook Air Laptop with SSD. HP (Hewlett-Packard) recently made the official announcement of their all new smartphone, named Palm Pre 2 along with the introduction of their new OS named WebOS 2.0.According to HP GSM and UMTS version of Palm Pre 2 will be available from October 22 2010 via French mobile operator SFR and the CDMA EV-DO supported Palm Pre 2 will hit US via Verizon and in Canada later. The all new HP Palm Pre 2 smartphone comes equipped with 3.1-inch touchscreen display with resolution of 320 x 480 pixels along with multitouch support and is 1GHz processor.Palm Pre 2 look almost similar to the previous version with a curved design in black shade. 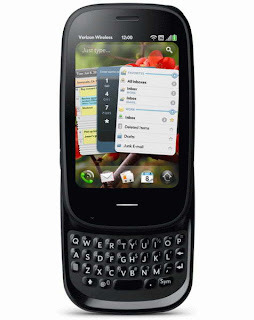 The new UI of Palm Pre 2 smartphone provided by the new WebOS 2.0 features multi-tasking and has supports for Adobe Flash Player 10.1 Beta. Tags:-HP Palm Pre 2, HP Palm Pre 2 features, HP Palm Pre 2 release, HP Palm Pre 2 detials, HP Palm Pre 2 specs, HP Palm Pre 2 specifications, HP Palm Pre 2 with WebOS 2.0, HP WebOS 2.0, WebOS 2.0 details, WebOS 2.0 hp handset, WebOS 2.0 with HP Palm Pre 2 details. Motorola now on its way to introduce an updated version of their Motorola Droid X Android smartphone, named Motorola Droid X SE Smartphone.The new Motorola Droid X SE Smartphone will be available only for US customers. New Motorola Droid X SE Smartphone comes equipped with a 4.3-inch capacitive touchscreen display with resolution of 480 x 854 pixels and is powered with a 1.2GHz processor which an upgraded one considering the previous 1GHz version. Upcoming Motorola Droid X SE Smartphone has a stylish front panel included with a silver frame.The smartphone is designed to support CDMA 800/1900 MHz 1xEV-DO rev.A.Other Features of Motorola Droid X SE Smartphone includes 8 megapixel camera and an 8GB internal flash memory. 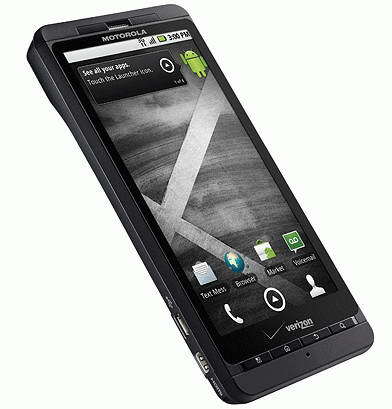 Tags:-Motorola Droid X SE Smartphone, Motorola Droid X SE Smartphone details, Motorola Droid X SE Smartphone launch, Motorola Droid X SE Smartphone specs, Motorola Droid X SE Smartphone memory, Motorola Droid X SE Smartphone release. 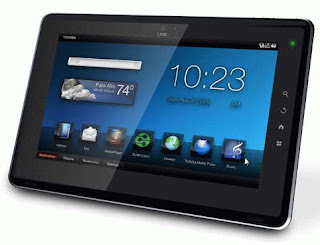 Pioneer Computers recently introduced their new Android tablet, named DreamBook ePad P10.The new DreamBook ePad P10 Tablet runs on Google Android 2.2 (Froyo) OS and is based on Tegra 2 platform. All new DreamBook ePad P10 Android Tablet comes equipped with 10.1-inch capacitive touchscreen display with a resolution of 1024 x 600 pixels with multitouch support capabilities and is possibly powered up to 1GHz SMP Dual Core Cortex-A9 processor.The DreamBook tablet includes a 512MB RAM and 512MB ROM module. DreamBook ePad P10 Android Tablet Features 1.3 megapixel camera, Wi-Fi 802.11 b/g, Bluetooth 2.1, sensor orientation, HDMI and USB port and a SD card slot that supports up to 32GB card.Optional availabilities that comes with ePad P10 tablet includes 3G WWAN (Ericsson F3307), GPS, and a docking station. New DreamBook ePad P10 Android Tablet includes a 3300mAh Li-Polymer battery that capable of providing about 16 hours of music playback in screen off stage and about 6.5 hours of life during video playback.ePad P10 Android Tablet weighs about 750 g and its dimension are 275 x 178 x 13.6 mm. Pioneer Computers DreamBook ePad P10 Android Tablet comes with a price tag that starts at $500. Tags:-DreamBook ePad P10 Android Tablet, New DreamBook ePad Android Tablet, DreamBook ePad P10 Android Tablet price, DreamBook ePad P10 Android Tablet launch, DreamBook ePad P10 Android Tablet features, DreamBook ePad P10 Android Tablet price tag, DreamBook ePad P10 Android Tablet details, DreamBook ePad P10 Android Tablet processor, DreamBook ePad P10 Android Tablet camera, DreamBook ePad P10 Android Tablet memory. 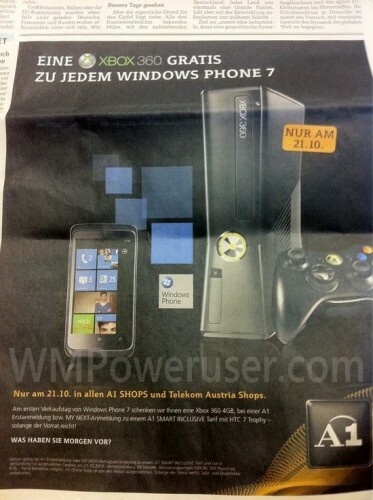 For attracting more and more customers at the outlet of "carriers" Australia, Microsoft announced Free New Xbox 360 console (still stock last) with New Windows Phone 7 Handset on its launch day in Australia on October 21st via Australian network provier "carriers".The offer is only valid in Australia on 21st October. The Free Xbox 360 console is a 4GB model rather than the 250GB version and comes in matte black color.According to the providers the Free Xbox 360 console last still its stock lasts.They didn't say about the number of Free Xbox 360 console available.So if you are planning to get both be in Australia at carriers A1 retail location as early as you can on 21st October. 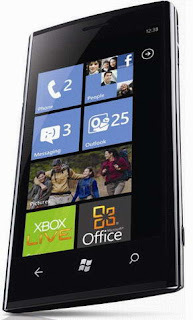 Tags:-Free Xbox 360, Free Xbox 360 in Australia, Free Xbox 360 with Windows Phone 7, Windows Phone 7 australia launch, Xbox 360 Free in Australia with Windows Phone 7, limited Free Xbox 360. Canadian company, Research In Motion (RIM) in join hands with U.S. mobile operator, Sprint recently made the official announcement of their upcoming BlackBerry smartphone, named BlackBerry Style 9670.The new BlackBerry Style 9670 smartphone comes in a Clamshell form-factor.BlackBerry Style 9670 smartphone will be available from October 31, 2010 onwards for a price of $99.99 with 2-year contract and after a $100 mail-in rebate. 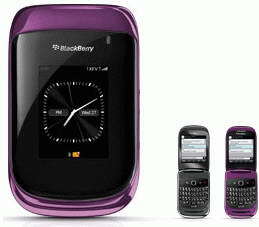 The all new BlackBerry Style 9670 Clamshell Smartphone comes equipped with an internal main display with 360 x 400 pixels resolution where as the external screen has a 320 x 240 pixels resolution.The smartphone is powered with a 624MHz processor. BlackBerry Style 9670 Smartphone runs on BlackBerry OS 6 and is Featured with 5 megapixel autofocus camera with LED flash, Wi-Fi 802.11b/g/n, Bluetooth 2.1, 3.5mm audio connector and GPS.The smartphone has an internal memory of 512MB and can expandable up to 32GB via MicroSD/MicroSDHC memory card.BlackBerry Style Smartphone comes bundled with an 8GB memory card. New Sprint BlackBerry Style 9670 smartphone is designed to support CDMA EV-DO networks.The 1150 mAh battery included within the BlackBerry Style handset provides about 4.5 hours of talk time life, 14 hours of life in music playback and almost 10.5 days of standby life. Tags:-BlackBerry Style 9670 smartphone colors, BlackBerry Style 9670 smartphone features, BlackBerry Style 9670 smartphone specs, BlackBerry Style 9670 smartphone price, BlackBerry Style 9670 smartphone launch date, BlackBerry Style 9670 smartphone release, BlackBerry Style 9670 smartphone review, BlackBerry Style 9670 smartphone preview, BlackBerry Style 9670 smartphone camera, BlackBerry Style 9670 smartphone pics, BlackBerry Style 9670 smartphone images, BlackBerry Style 9670 smartphone price tag. Toshiba recently made the pre-order availability of it all new Tablet, named Toshiba Folio 100 in French market.The new Toshiba Folio 100 Tablet now available for a price tag of 399 euros. New Toshiba Folio 100 Tablet comes equipped with a 10.1-inch capacitive touchscreen display with resolution of 1024 x 600 pixel and is powered with an Nvidia Tegra 2 processor.The tablet includes a 512MB RAM and a 16GB SSD for storage. All new Toshiba Folio 100 Tablet Features 1.3MP webcam, Wi-Fi 802.11b/g/n, Bluetooth, SDHC memory card slot, one USB 2.0, audio jacks, mini USB and HDMI port.The 1020mAh battery of the Tablet provides about 7 hour of life.Toshiba Folio 100 Tablet weighs 760 grams and its dimensions are 281 x 181 x 14 mm. Tags:-Toshiba Folio 100 Tablet price, Toshiba Folio 100 Tablet availability, Toshiba Folio 100 Tablet features, Toshiba Folio 100 Tablet details, Toshiba Folio 100 Tablet price, Toshiba Folio 100 Tablet price details, Toshiba Folio 100 Tablet review. 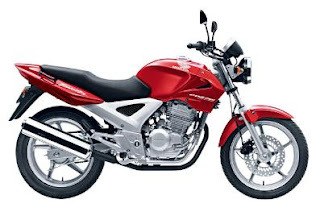 Honda India on its way to introduce its all new 250cc bike, named Honda CBX 250 Twister in Indian market.The new Honda CBX 250 Twister motorbike is expected to hit by 5th November, 2010 as a Diwali gift by Honda to its Indian customers.Honda CBX 250 Twister comes with a price tag of Rs. 1,50,000(Expected). The all new Honda CBX 250 Twister comes powered with an Four Stroke, Oil/Air Cooled 249cc DOHC Engine capable of providing a maximum Power of 24 Bhp at 8000 rpm with a peak torque of24 Nm at 6000 rpm.The powerful engine is mated with 6 manual gears.The bike includes a stylish Twin Pod Instrument Cluster.Over all the bike has a sporty stylish appearance. 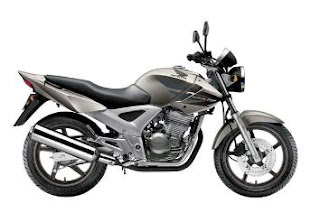 Tags:-Honda CBX 250 Twister, Honda CBX 250 Twister price, Honda CBX 250 Twister india launch, Honda CBX 250 Twister release, Honda CBX 250 Twister india price, Honda CBX 250 Twister specs, Honda CBX 250 Twister top speed, Honda CBX 250 Twister colors, Honda CBX 250 Twister pics, Honda CBX 250 Twister images, Honda CBX 250 Twister stills, Honda CBX 250 Twister pice details. Samsung recently made the availability of its all new dual-core netbook Samsung NF210 in UK markets.The new Samsung NF210 netbook now available for a price tag of £329 via Amazon UK. Samsung NF210 netbook comes equipped with a 10.1-inch LED-backlit display with resolution of WSVGA (1024 x 600) and is powered with a 1.5GHz Intel Atom Dual Core Processor N550 along with an Intel NM10 chipset.The Samsung netbook also houses an Intel GMA3150 integrated graphics card, 1GB DDR3 RAM and a 250GB HDD (5400rpm SATA). New Samsung NF210 netbook features Bluetooth v3.0 High Speed, WiFi, 10/100 Ethernet LAN, SRS Premium Sound Effect, 1.5Wx2 Stereo Speaker, Web Camera, three USB 2.0 (Chargeable USB included), and 4-in-1 card reader (SD/SDHC/SDXC/MMC). 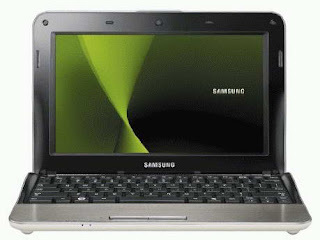 All new Samsung NF210 netbook comes pre-loaded with Windows 7 Starter OS.The netbook includes a 6-cell 40Wh battery as a back up power option.Samsung NF210 netbook weighs 1.25 kg and a dimension of 275 x 187.5 x 25.3 – 30.9 mm (WxDxH). Tags:-Samsung NF210 dual-core netbook features, Samsung NF210 dual-core netbook price, Samsung NF210 dual-core low price netbook, Samsung dual-core netbook, low priced dual-core netbook, Samsung dual-core netbook price tag. LG Electronics recently introduced the World’s Largest 3D commercial LCD HDTV, named LG Infinia 72LEX9.The new LG Infinia 72LEX9 3D HDTV comes featured with point of control (Spot Control) technology, capable of providing a deep black color, uniform image and also helps in saving about 70% of power. The new LG Infinia 72LEX9 3D HDTV comes with a large 72-inch (182cm) screen with LED backlight and 1920 x 1080 pixels (Full HD) resolution.The HDTV also includes 480Hz TruMotion technology improves the image quality by increases the sharpness and detail of fast moving objects. 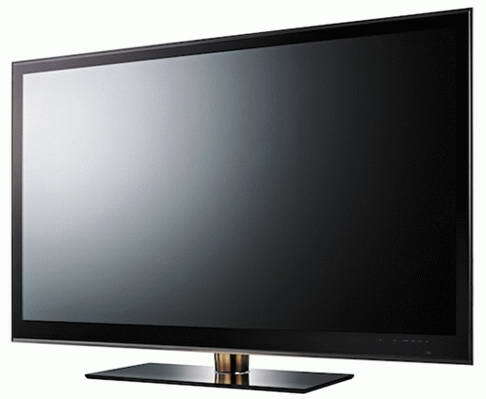 The LG Infinia 72LEX9 3D HDTV suppoets NetCast Web TV, DLNA and comes included with Wireless AV Link helps transfer of HD data via wireless connection. 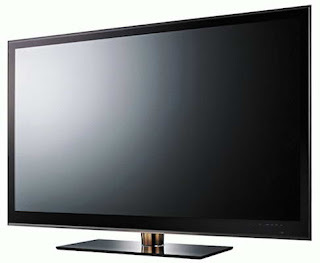 The all new LG Infinia 72LEX9 3D HDTV is expected to hit markets by the Q2 2011 with a price tag of $7,146. Tags:-LG Infinia 72LEX9 3D HDTV price, LG Infinia 72LEX9 3D HDTV features, LG Infinia 72LEX9 3D HDTV details, World’s Largest 3D HDTV, World’s Largest 3D HDTV price, World’s Largest 3D HDTV features, World’s Largest 3D HDTV images, World’s Largest 3D HDTV release, World’s Largest 3D HDTV launch, LG World’s Largest 3D HDTV, World’s Largest 3D HDTV by LG. LG Electronics recently made the availability of its all new Android Smartphone, named LG Optimus S.The new LG Optimus S smartphone is made available via U.S. mobile operator, Sprint from October 31 onwards priced at $50 with a 2-year agreement. New LG Optimus S Android Smartphone comes equipped with 3.2-inch capacitive touchscreen display with resolution of 320 x 480 pixels (HVGA) and is powered with 600MHz Qualcomm MSM7627 processor along with 256MB RAM and 512MB ROM module. The main feature of LG Optimus S Android Smartphone is the mobile hotspot capability which helps to connect up to five Wi-Fi enabled devices along with 3G data shade at same time.Other Features of the Optimus S Smartphone includes 3.2 megapixel camera with 2x digital zoom, Wi-Fi, Bluetooth, GPS and a microSD / microSDHC memory card slot capable of supporting up to 32GB card. All new LG Optimus S Smartphone runs on Google Android 2.2 OS and is provided with supports for CDMA network.The 1500 mAh battery of smartphone provides about five hours of talk time life.LG Optimus S Smartphone comes in Charcoal Gray color and it weighs 4.6 oz with a dimension of 4.47 x 2.32 x 0.52 inches. 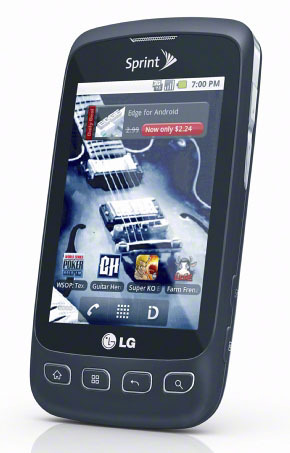 Tags:-LG Optimus S Smartphone, LG Optimus S Smartphone features, LG Optimus S Smartphone specs, LG Optimus S Smartphone details, LG Optimus S Smartphone price tag, LG Optimus S Smartphone colors. Whenever a virus attacked your system, or if you have problems with your currently installed Windows XP OS the only method is to reinstall Windows XP.Most of you hated to reinstall because it takes about 35-45 minutes to do so.So here i am presenting easy simple steps so that you could save 10-15 minutes. 2. When select a partition option comes select “c”. 5. After rebooting you could see a screen below it saying some 40 minutes to complete or finalize the OS installation. 7. In command prompt enter " Taskmgr " (do not enter the double codds enter only the word in red color).This leads you to Task Manager. 10. Right click on the Setup.exe and Set Priority to High or Above Normal by selecting it. 11.Tats all and you could see the installation process completes in about 20 mints. IF you have any questions please fell free to comment. 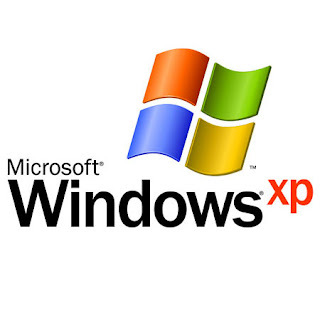 Tags:-INSTALL Windows XP, INSTALL Windows XP tricks, INSTALL Windows XP install tricks, INSTALL Windows XP install in 20 mnts, quick install of INSTALL Windows XP, easy steps to INSTALL Windows XP quickly, 20 mnts easy install of INSTALL Windows XP. TVS Motors India is on its way to launch the upgraded version of its successful bike Apache RTR 160, named as Apache RTR 160 Hyper Edge.The all new Apache RTR 160 Hyper Edge is expected to hit Indian roads in a few days with a price tag of about Rs. 70,000. New TVS Apache RTR 160 Hyper Edge comes powered with 159.7cc 4 Stroke, Single Cylinder Engine same as in Apache RTR 160 bike providing a maximum power of 15.2bhp at 8500 rpm at a maximum torque of 13.1Nm at 6000 rpm.The engine is mated with a 5 speed Gear box.In new RTR 160 Hyper Edge engine’s stroke reduce to 52.9 mm and also the bore increased to 62 mm. TVS Apache RTR 160 Hyper Edge Added features includes Digital Speedometer, Petal shaped disc brakes, Detachable Rear Mudguard, new sporty colors, Stylish Graphics design of Apache RTR 160 Hyper Edge on Fuel Tank, Front Mud Guard and Rear Panel. 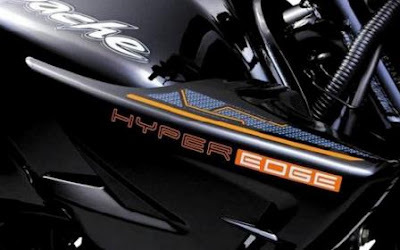 Tags:-Apache RTR 160 Hyper Edge, Apache RTR 160 Hyper Edge price, Apache RTR 160 Hyper Edge launch date, Apache RTR 160 Hyper Edge release, Apache RTR 160 Hyper Edge images, Apache RTR 160 Hyper Edge pics, Apache RTR 160 Hyper Edge price, Apache RTR 160 Hyper Edge price details, Apache RTR 160 Hyper Edge top speeed, Apache RTR 160 Hyper Edge mileage, Apache RTR 160 Hyper Edge shades, Apache RTR 160 Hyper Edge colors, Apache RTR 160 Hyper Edge engine specs, Apache RTR 160 Hyper Edge added features, Apache RTR 160 Hyper Edge new features. HTC now on its way to introduce it all new Windows Phone 7 OS based smartphone, named HTC HD7.The all new HTC HD7 Smartphone is expected to be available for sale by mid-November 2010 via USA mobile operator,T-Mobile. The new HTC HD7 smartphone comes housed with a 4.3-inch touchscreen display with resolution of 480 x 800 pixels (WVGA) and is powered with 1GHz Qualcomm Snapdragon MSM8250 processor.HTC HD7 smartphone also houses 576MB RAM and a 512MB ROM module. 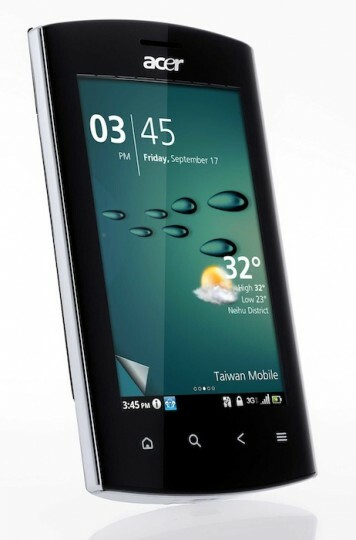 HTC HD7 smartphone Features 5MP autofocus camera with dual LED flash, HD video recording in 720p (1280 x 720 pixels), GPS, Bluetooth 2.1, Wi-Fi 802.11b/g/n, 8GB/16GB internal memory, MicroUSB port, and an ambient light sensor. New HTC HD7 smartphone supports GSM/GPRS/EDGE 850/900/1800/1900 MHz and UMTS/HSDPA/HSUPA 900/2100 MHz networks.The smartpone weighs 162g and its dimensions are 122 x 68 x 11.2 mm. 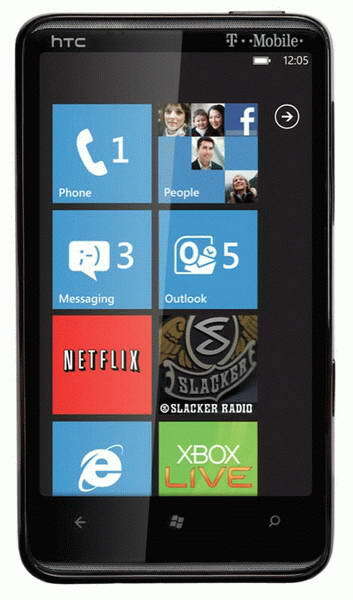 Tags:-HTC HD7 smartphone, Windows Phone 7 OS, Windows Phone 7 OS HTC HD7, HTC HD7 Windows Phone 7 smartphone, HTC HD7 smartphone features, HTC HD7 smartphone specifications, HTC HD7 smartphone details, HTC HD7 smartphone launch. 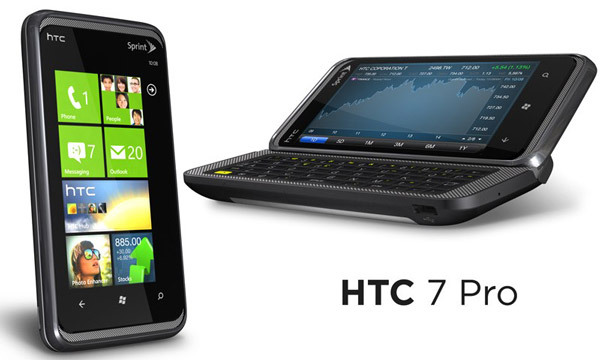 HTC recently introduce their new Windows Phone 7 handset, named HTC 7 Pro.The new stylish HTC 7 Pro Smartphone runs on newly released Microsoft Windows 7 Phone OS.The new HTC 7 Pro Windows 7 Phone is expected to hit markets by next year via Sprint mobile USA. The all new HTC 7 Pro handset comes equipped with 3.6-inch touchscreen that will offer crisp 480x800 pixel resolution and is powered with a 1GHz processor along with a 576MB RAM and 512MB ROM module.The HTC 7 Pro handset brings a slide-out QWERTY keyboard and includes Stocks application as default application. New HTC 7 Pro Smartphone Features 5 megapixel camera with auto focus and LED flash, 720p HD video recording, 16GB Internal memory, Bluetooth 2.1 with A2DP, WiFi (802.11 b/g/n), 3.5mm audio port, Dolby Mobile and SRS surround sound technology, G-sensor, proximity sensor, ambient light sensor and micro-USB. HTC 7 Pro handset is designed to support 1xRTT/EVDO revision A network providing a download speed of 3.1 Mbps and a upload speed 1.8 Mbps.The HTC handset is offered with either 1500mAh Lithium Ion or 1500mAh Lithium Polymer battery. Tags:-HTC 7 Pro Smartphone, HTC 7 Pro Smartphone features, HTC 7 Pro Smartphone launch, HTC 7 Pro Smartphone us launch, HTC 7 Pro Smartphone specifications, HTC 7 Pro Smartphone details, HTC 7 Pro Smartphone camera, HTC 7 Pro Windows 7 Phone, HTC Windows 7 Phone, HTC Pro Windows 7 Phone, HTC Windows 7 Phone OS handset. Yamaha recently launched the up-graded version of its all new Yamaha SZ-X.The only change that comes with the new Yamaha SZ-X is the introduction of new front disc brake so named the bike as Yamaha SZ-X Disc.The all new Yamaha SZ-X Disc now available for an on-road price tag of Rs. 63,000. 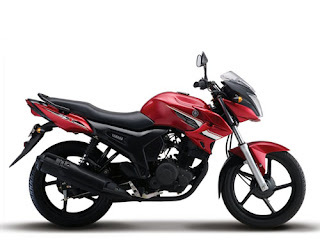 New Yamaha SZ-X Disc also is powered with a 153cc engine providing a maximum power of 12 Bhp at 7500 rpm with a peak torque 12.8 Nm at 4500 rpm.The mileage of Yamaha SZ-X Disc is around 60-70 kmpl. Tags:-Yamaha SZ-X Disc, Yamaha SZ-X Disc price, Yamaha SZ-X Disc mileage, Yamaha SZ-X Disc fuel economy, Yamaha SZ-X Disc features, Yamaha SZ-X Disc specs, Yamaha SZ-X Disc shades, Yamaha SZ-X Disc colors, Yamaha SZ-X Disc on-road price, Yamaha SZ-X Disc.